Next month's read are all about favourite series. Members have suggested books from their favourites for others to choose from. Happy reading! Ender's Saga: The Ender's Game series (sometimes called Enderverse or the Ender series) is a series of science fiction books by Orson Scott Card. The series started with the novelette "Ender's Game", which was later expanded into the novel Ender's Game. It currently consists of eleven novels and ten short stories. The first two novels in the series, Ender's Game and Speaker for the Dead, each won both the Hugo and Nebula Awards, and were among the most influential science fiction novels of the 1980s. A Song of Ice and Fire: The story of A Song of Ice and Fire takes place on the fictional continents Westeros and Essos, with a history of thousands of years. The series is told in the third person by point of view (POV) characters, whose number reaches 31 by the fifth novel. 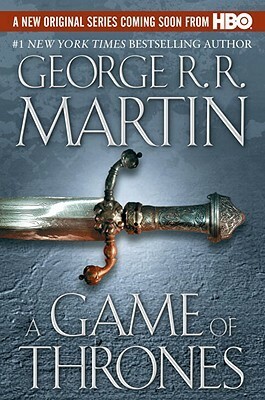 Three stories become interwoven: the chronicling of a dynastic war for control of Westeros by several families; the rising threat of the dormant cold supernatural Others dwelling beyond an immense wall of ice on Westeros' northern border; and the ambition of Daenerys Targaryen, the exiled daughter of a king murdered in a civil war shortly before her birth, to return to Westeros with her fire-breathing dragons and claim her rightful throne. Yeine Darr is an outcast from the barbarian north. But when her mother dies under mysterious circumstances, she is summoned to the majestic city of Sky. There, to her shock, Yeine is named an heiress to the king. But the throne of the Hundred Thousand Kingdoms is not easily won, and Yeine is thrust into a vicious power struggle with cousins she never knew she had. As she fights for her life, she draws ever closer to the secrets of her mother's death and her family's bloody history.The Inheritance Trilogy: Gods and mortals. Power and love. Death and revenge. 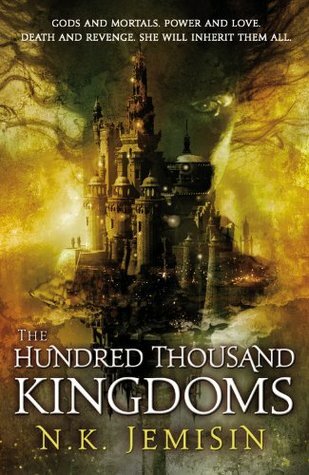 In the Hundred Thousand Kingdoms, gods dwell among mortals and one powerful, corrupt family rules the earth. Three extraordinary people may be the key to humanity’s salvation. In the kingdom of Crotheny, two young girls play in the tangled gardens of the sacred city of the dead where, fleeing an imaginary attacker, they discover the unknown crypt of a legendary, ancestral queen. In the wilds of the forest, while investigating the mass slaughter of an innocent family, the king's forester comes face-to-face with a monstrous beast found only in folk tales and nightmares. The Warlord Chronicles: The protagonist of the series is Derfel Cadarn (pronounced Derv-el), based on the part-legendary Saint Derfel. 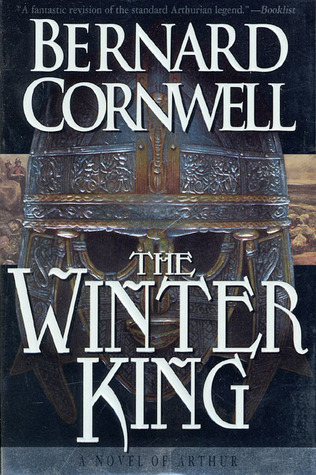 Cornwell's Derfel is a Saxon brought up as a Briton by Merlin, the greatest of all Druids. In the course of the story, he becomes a great warrior and one of Arthur's lieutenants in his war against the Saxons. Merlin, meanwhile, concerns himself with trying to restore the old gods of Britain. Other characters from the Arthurian mythos are given significant and memorable twists. For example, Lancelot, always portrayed as the most virtuous and the mightiest of Arthur's knights, here is depicted as an arrogant, cowardly and ultimately self-serving petty prince, whose legendary feats and martial prowess are crafted through the songs of the bards and a fictional reputation that he himself carefully cultivates. Sagramor is a Hungarian prince in the Lancelot-Grail Cycle, but is depicted here as a Numidian veteran of the old Roman Army who joined Arthur's service after the collapse of the Empire. 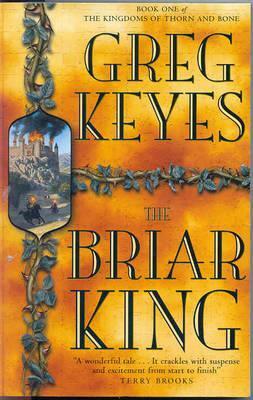 For fans of the series, Cornwell's portrayal of Merlin as a lecherous, driven, mischievous and irreverent druid is particularly memorable. As a newborn Ash March was abandoned--left for dead at the foot of a frozen mountain. Found and raised by the Penthero Iss, the mighty Surlord of Spire Vanis, she has always known she is different. Terrible dreams plague her and sometimes in the darkness she hears dread voices from another world. Iss watches her as she grows to womanhood, eager to discover what powers his ward might possess. As his interest quickens, he sends his living blade, Marafice Eye, to guard her night and day. Five men and women find themselves flung into the magical land of Fionavar, First of all Worlds. They have been called there by the mage Loren Silvercloak, and quickly find themselves drawn into the complex tapestry of events. For Kim, Paul, Kevin, Jennifer and Dave all have their own part to play in the coming battle against the forces of evil led by the fallen god Rakoth Maugrim and his dark hordes.